The Cleveland Cavaliers may have the best player in the series. But for at least one game, the Boston Celtics proved that they have the better team. 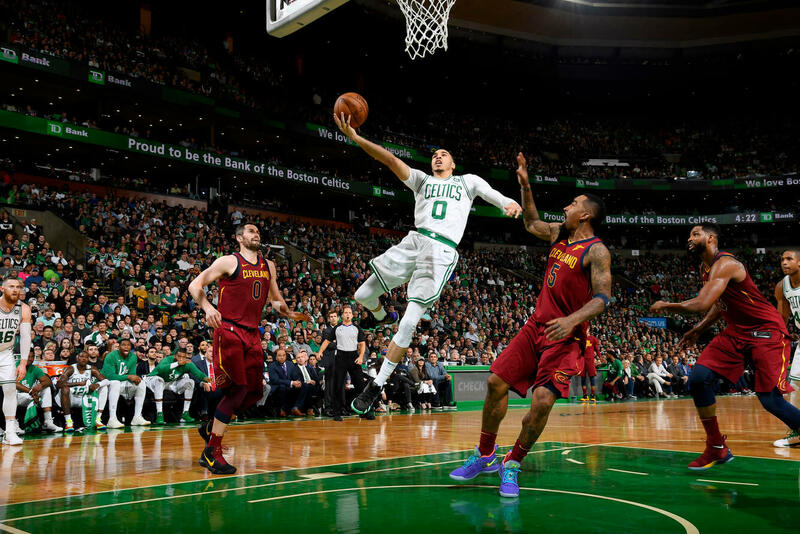 The Celtics dominated the Cleveland Cavaliers from the get go, leaving no room for a comeback by the Cavs. Boston unloaded a 25-2 run in the first quarter and took a 29-9 run to start the game. They completely controlled the first half, running intelligent plays that were designed to take advantage of the weak points of the Cleveland defense. Boston consistently attacked the weaker Cavs defenders, blowing past them for drives to the hoop. If not, they forced switches getting a smaller defender on a bigger opponent. Jaylen Brown feasted on having Kyle Korver or JR Smith on him. He scored 23 points and grabbed eight rebounds to lead the Celtics. Brown led four players in double figures, all of whom scored more than 15 points. Marcus Morris and Al Horford were an inside-outside big man combination. The two played off each other to combine for 41 points and 14 rebounds. Jayson Tatum added 16 points. Boston dominated the inside with a 60-38 points in the paint advantage. They his 51% of their shots and were limited to only 11 turnovers. The closest the Cavaliers got was 14 to start the fourth quarter. But The Celtics had a big run to pull away once again. It’s best that LeBron James himself tells you what happened in that run. That was James at his best in Game 1. He didn’t get to do much during the actual game. He was limited to just 15 points on 5/16 shooting. He added seven rebounds and nine assists to his scoring totals. The rest of the Cavaliers weren’t much better. Kevin Love scored 17 points but was a putrid 5/14. Rodney Hood and Jordan Clarkson (Jordan Crawford?) were the only other players to score in double figures. They combined for 21 points at a 9/23 clip. The Cavaliers were limited to just 36% shooting by the Boston defense in Game 1. They were a horrible 4/26 from three-point land. Boston holds home court advantage once again for Game 2. They’re aiming for that 2-0 lead so that they have a safer cushion when the series shifts to Cleveland. James will try to bounce back from a terrible showing in Game 1. The Celtics though, don’t seem to be afraid of the King.